Written in three sizes and two gauges to fit most anyone, at 5 spi, has a top opening of about 20 [24, 28] inches (see notes below for more). 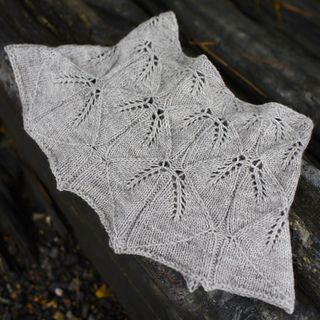 This is part of a three piece set (Hither, Thither, and Yon) and you can buy all three patterns together for a discount. The price for the set of three is $15.90 (that’s a savings of $6.45 off the price of the individual patterns, the equivalent of getting one pattern for a dollar). If you put all three patterns in your cart together, you’ll see the price reduced to $15.90 (you don’t need a code, it happens automatically). And don’t worry! 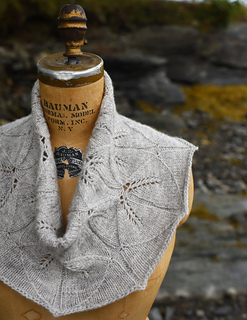 If you’ve already bought one or both of the other patterns, whatever you spent on those will be counted towards the price of the set (as long as you’re logged into your ravelry account when you make both purchases). As far as I can tell, two things are true about pretty much all knitting. 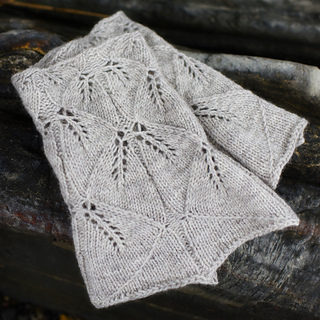 Knitting leaves is more fun than it has any right to be (so easy, so tidy, so satisfying), and accessories are better in sets. 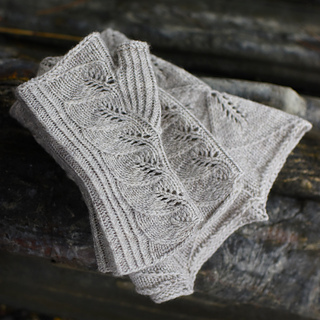 Which is why I’m delighted to add this lovely, lacy cowl to the cuffs (Hither) and hat (Thither) that came out earlier. And while I probably won’t wear all three at once, there’s seriously a part of me that loves knowing I could (and I sort of doubt I’m alone in this). 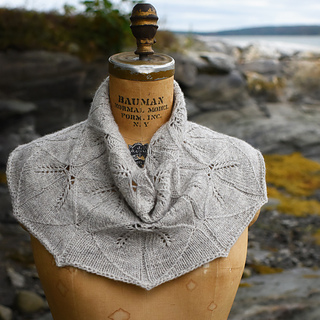 The pattern includes instructions for both a taller and a shorter version of the cowl (the shorter one is shown in the pictures). Don’t worry, you don’t have to decide which you want to make right away! You’ll knit for a little while, then try it on (or measure) and see which height you like better. Both versions come in three sizes (100, 120, 140 stitch cast on) and two gauges (5 and 6 stitches per inch), so there’s plenty of flexibility to make the size that feels most comfortable for you. The cowls are tapered (the top is about half the size of the bottom), as I find that makes for the best fit (plenty of fabric at first to keep you warm, not too much up top to get in your way). 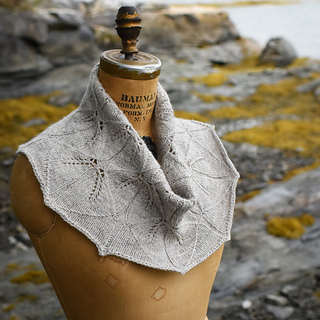 The piece in the pictures was knit at 5 stitches per inch. It’s 40 inches around at the widest point, 20 inches around at the narrowest point, 9 inches tall, and shown on a size 16 dress form. The sample took 275 yards of yarn (if you want a really big cowl, 375-400 is a safer bet). The picture down at the bottom shows the other two pieces in the set. You can get all of them together for a discount, check out the top of the page for more info.